TWO brand new Christmas cards from Greewnich.co.uk have gone on sale. Both of the cards show pictures of Greenwich Park taken during the snowfall of January 2013. 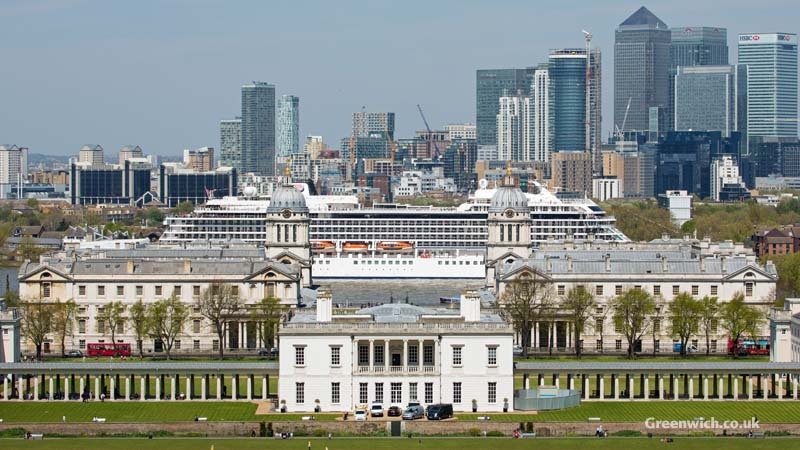 The first image shows the famous view of maritime Greenwich and Canary Wharf from the Wolfe statue, and the second is the view in the opposite direction, up towards the Observatory. The A6-sized cards have been produced again for Sabo's newsagents in Stockwell Street and are available in packs of 10 for £6. 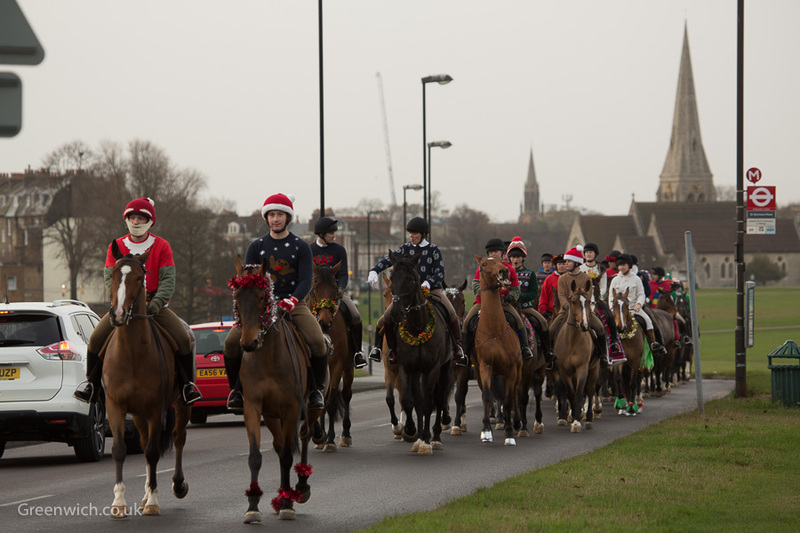 Alternatively, a limited number of the Greenwich Christmas cards are also available to order online. Local scenes also feature in the photo calendar created by our sister website OnTheThames.net. 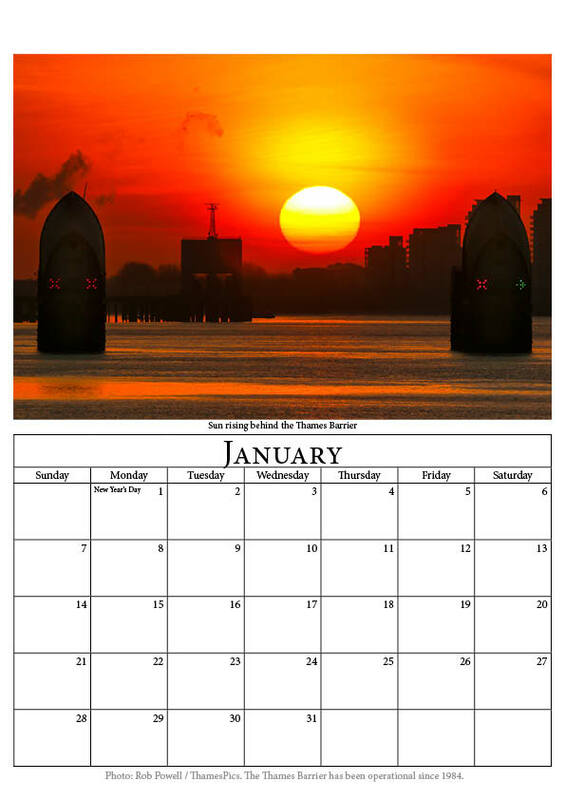 Now in its 5th year of production, the calendar features images from up and down the tidal Thames and includes tall ships at Greenwich and a striking sunset seen behind the Thames Barrier. 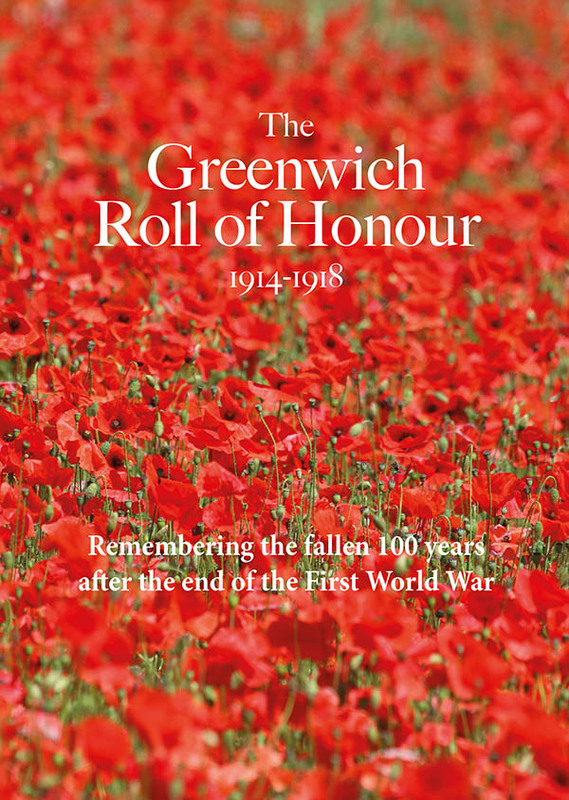 The On The Thames 2018 calendar is available to buy locally at Sabo's, the Warwick Leadlay Gallery and at the kiosk by the northern entrance to Greenwich Foot Tunnel. 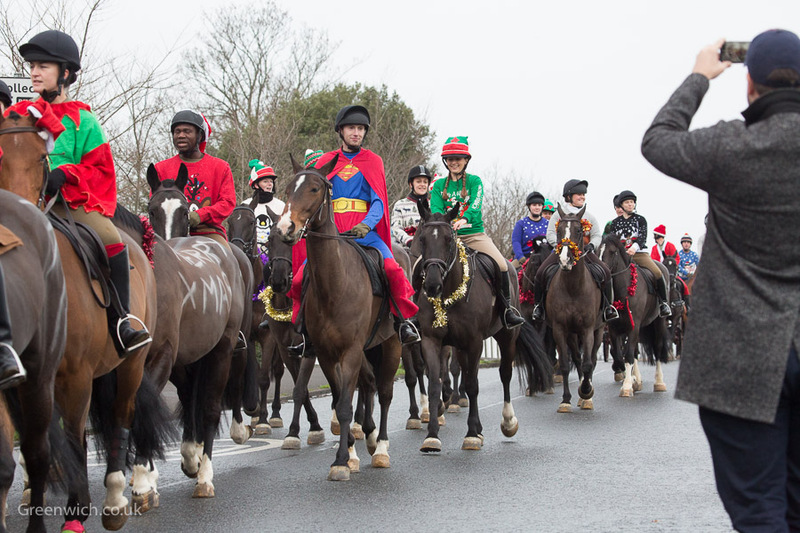 From Friday 1st December it will also be available at the Old Cottage Coffee Shop in Charlton. The calendar can also be ordered online. 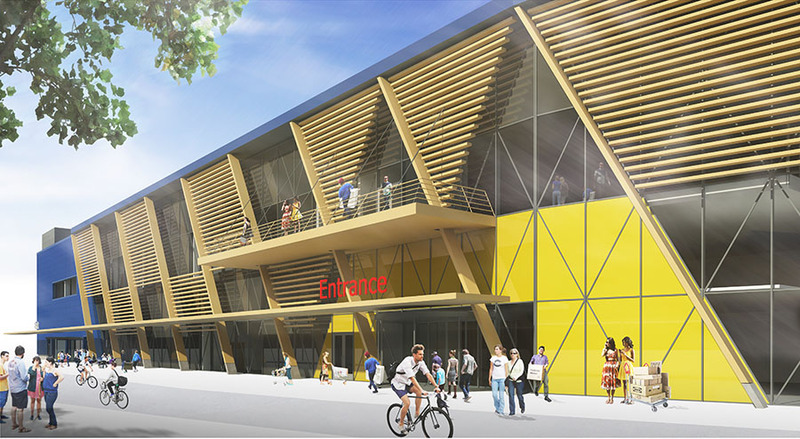 IKEA has begun building work on its Greenwich Peninsula superstore - its first new full sized store in London for 13 years. 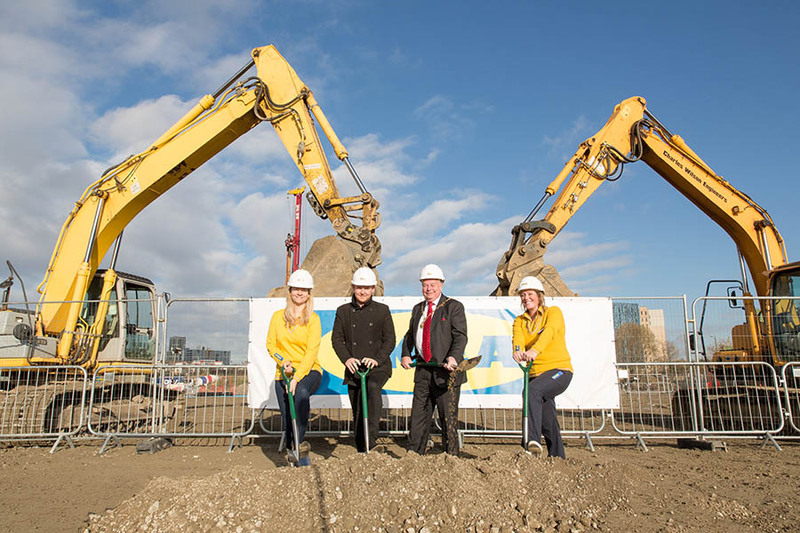 A groundbreaking ceremony took place yesterday at the construction site at Millennium Way Retail Park, attended by Greenwich Council's deputy leader Cllr Danny Thorpe and the Mayor of Greenwich, Cllr Peter Brooks. The Swedish furniture giant is investing £100 million into the new 32,000 sq m store which it says is creating 560 jobs and is the most central of its sites in the capital. 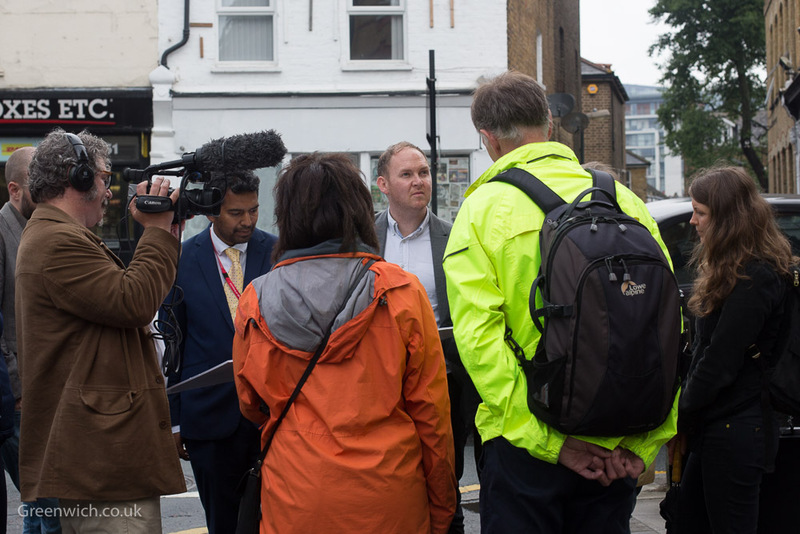 The start of work on site comes four years after IKEA first announced its plans, with the proposal being one of the most controversial local planning applications of recent years. The Charlton Society, Westcombe Society and Greenwich Conservation Group all opposed the application during the planning process. 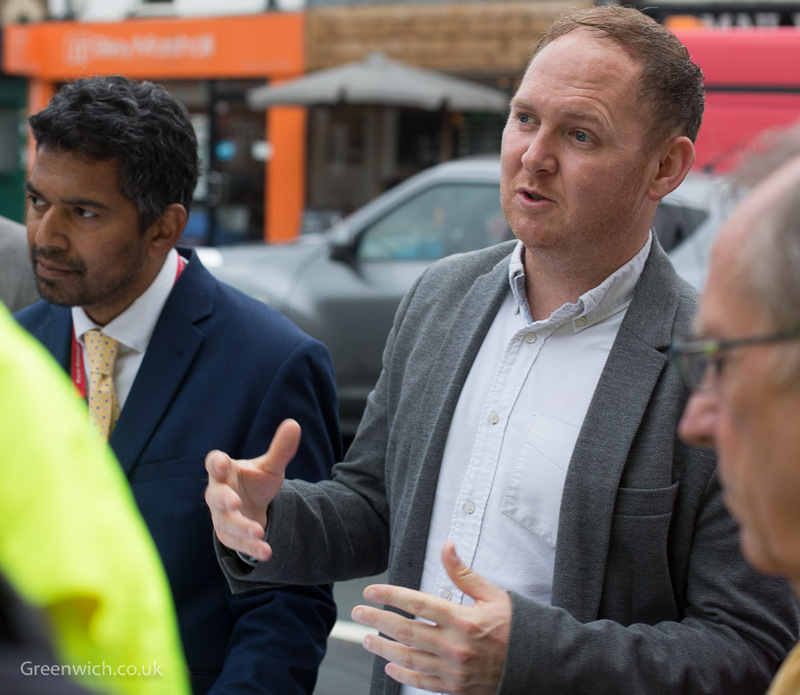 Responding to concerns that the new store - next to the Blackwall Tunnel approach road - will negatively impact already-busy local roads, Bisset added: “The goal is we will have as many people travelling by public transport as possible, and then we offer really great services so you can make sure it’s delivered next day to your home. IKEA claims the store will be the “most sustainable” of all its UK sites, with solar panels and wind turbines hoped to be producing as much energy as it consumes by 2020. 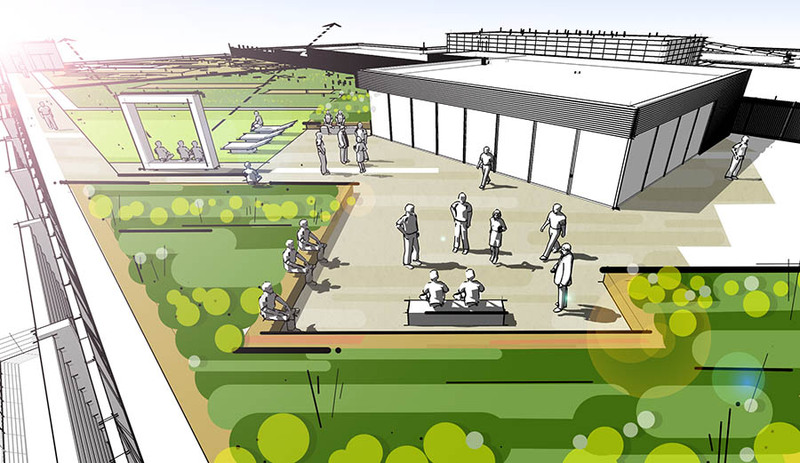 A roof garden is a UK first for IKEA, as are workshops for customers who want to refurbish their tired furniture. Built on the site of the now-demolished "eco Sainsburys", which received an award from RIBA for its sustainability yet only survived 13 years, how will IKEA measure its own sustainability claims? UK Sustainability Manager Hege Saebjornsen told Greenwich.co.uk that it was not just about the store's environmental impact. She said: “What’s important for us is that sustainability doesn’t just mean the environmental side. We’re building sustainability into the building and what it offers customers, but it also has to be financially sustainable as a business. “So sustainability is important in terms of, ‘How does the business need to grow to be around for 25 years?’ We could have built something that could have been perceived as even more of a sustainable store from an external perspective, but actually this will now work from an environmental, social and financial dimension. The store, which is due to open winter 2018, will cater to a different market from those further out of town, says store manager Janie Bisset. She said. “We know around this store we have lots of shared rentals, a lot of people who might be 40, have a good job in London but share a house. “It’s about how we show the range. So if you think of a high-rental area, people spend more or less their whole life in their bedroom. A range for a bedroom here would be dramatically different from how we would show a range for a bedroom in Scotland. “Potentially you’d have a microwave and eating quarters in your bedroom or a work space, sofa-bed so you could sit and watch the TV. We have 8000 articles and present the ranges differently depending on our markets. Artist's render of new Greenwich IKEA. 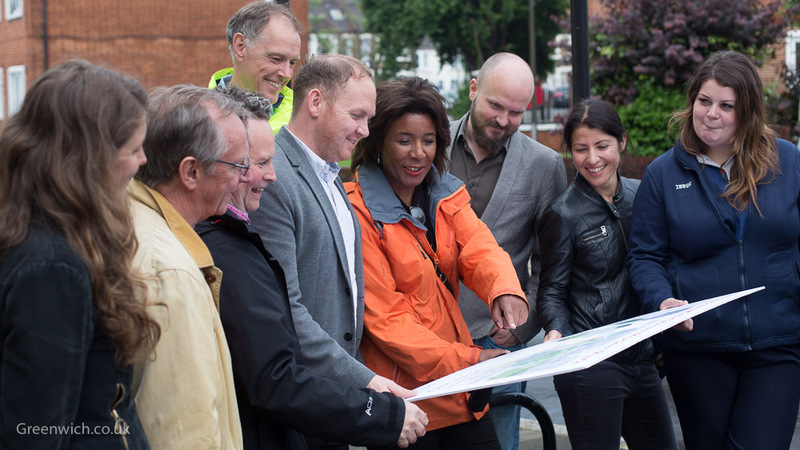 Photo top: IKEA Greenwich Store Manager, Janie Bisset and IKEA Sustainability Manager for the UK and IE, Hege Saebjornsen joined by Cllr Danny Thorpe, Deputy Leader of the Council, and Cllr Peter Brooks, the Mayor of the Royal Borough of Greenwich, in leading the groundbreaking ceremony for the new store. A BRAND new calendar for 2017 has gone on sale in Greenwich celebrating the River Thames. 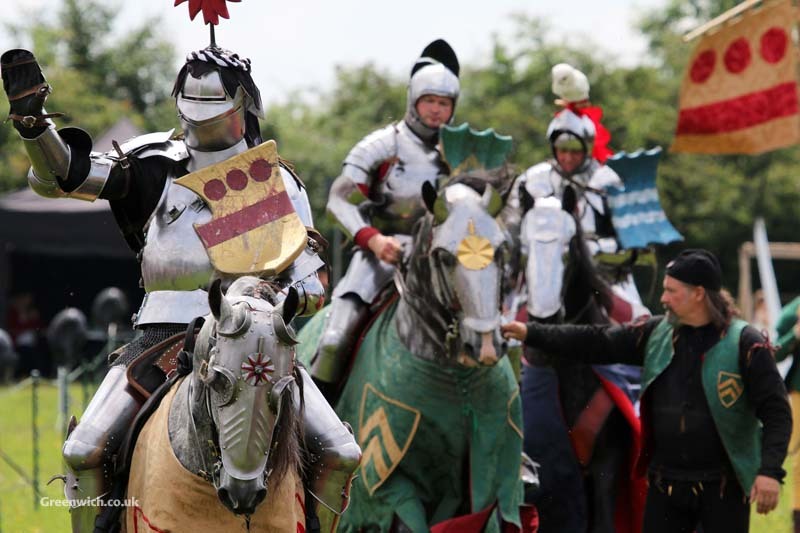 The 'On The Thames' calendar, now in its fourth year, includes the usual mix of tall ships, cruise ships, the Royal Navy and more, including returning favourites Gloriana, ST Portwey and PS Waverley. 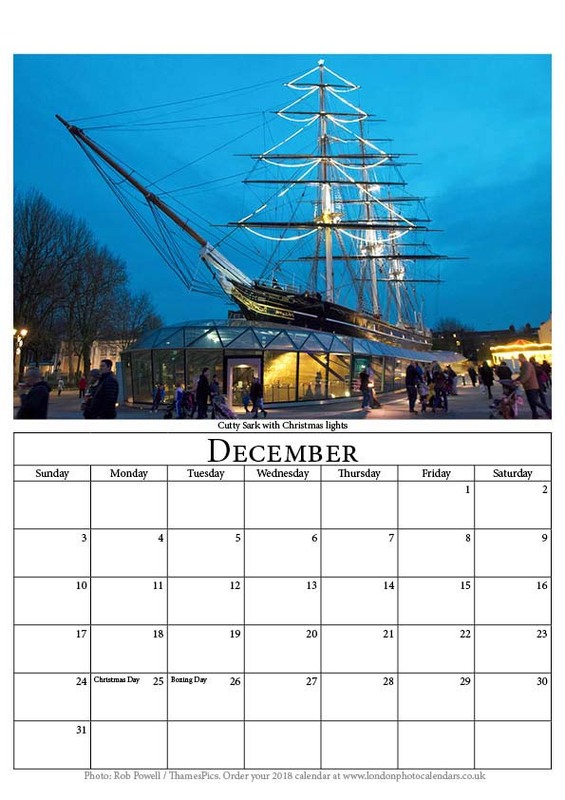 Published by the same company as Greenwich.co.uk, there has in recent years been a Greenwich calendar and a Thames calendar but this year only one design has been produced. 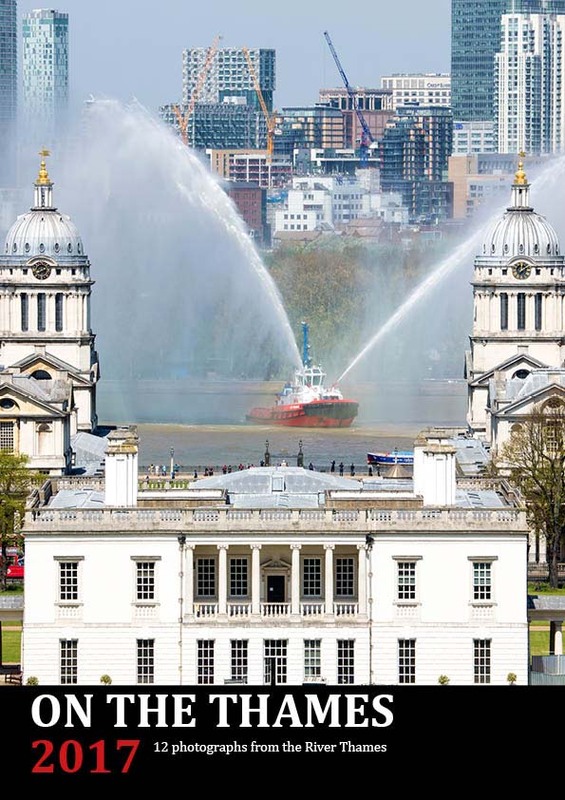 "Although we've rested the Greenwich-specific calendar for this year, there's plenty of Greenwich to enjoy in the Thames edition including a striking photo of a tug spraying water in front of the Old Royal Naval College and also Christmas lights up on the Cutty Sark," explained maritime photographer and Greenwich.co.uk editor Rob Powell. 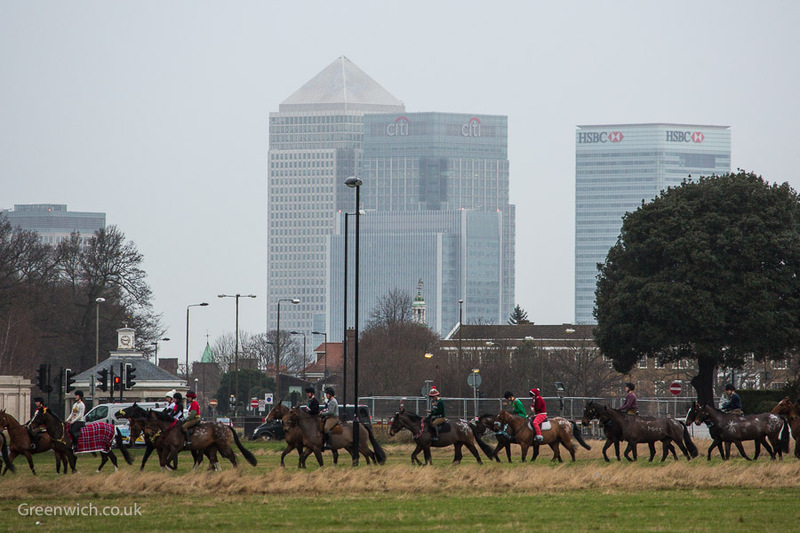 Some of the photos from this year's calendar and previous editions are also on display in a brand new Thames exhibition at the Rivington bar & restaurant in Greenwich High Road. Curated by Tony Othen from The Greenwich Gallery, the exhibition of Rob Powell's river photography will be on display for approximately three months with photos available to buy as individual prints, mounted prints, or framed prints. The On The Thames 2017 Calendar costs £6.99 and is available in Greenwich at the Rivington, the Warwick Leadlay Gallery, Sabo's Newsagent, and Pegga Stores at Blackheath Standard. 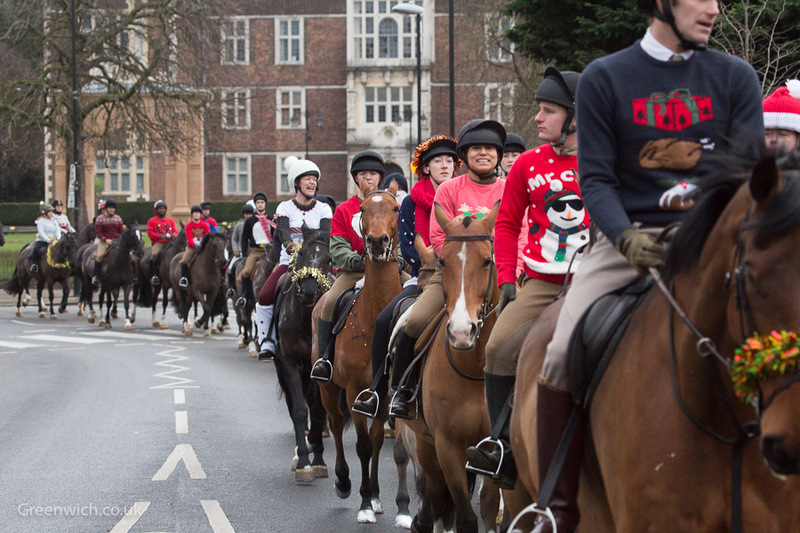 The calendar is also available to order online. 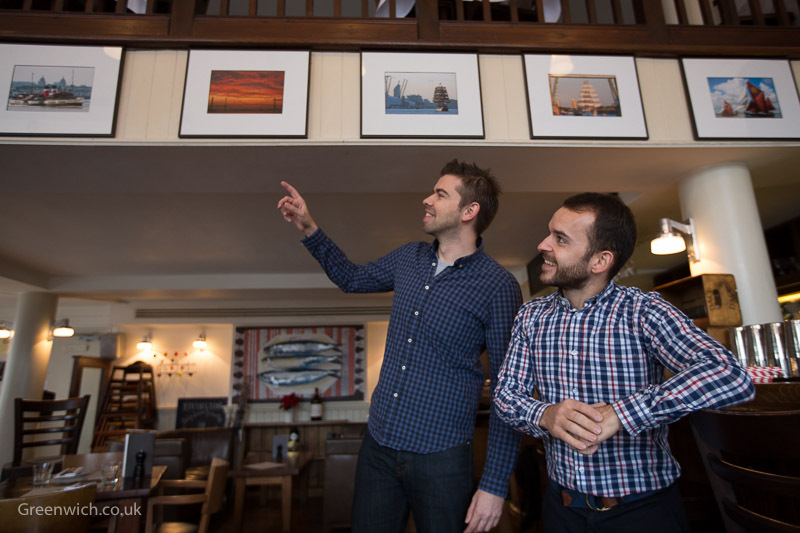 Photographer Rob Powell and the manager of the Rivington. Photo: Tony Othen. On The Thames 2017 calendar with a striking front cover image featuring the Queen's House and Old Royal Naval College. Cutty Sark's Christmas Tree style lights also appear in the On The Thames 2017 calendar. 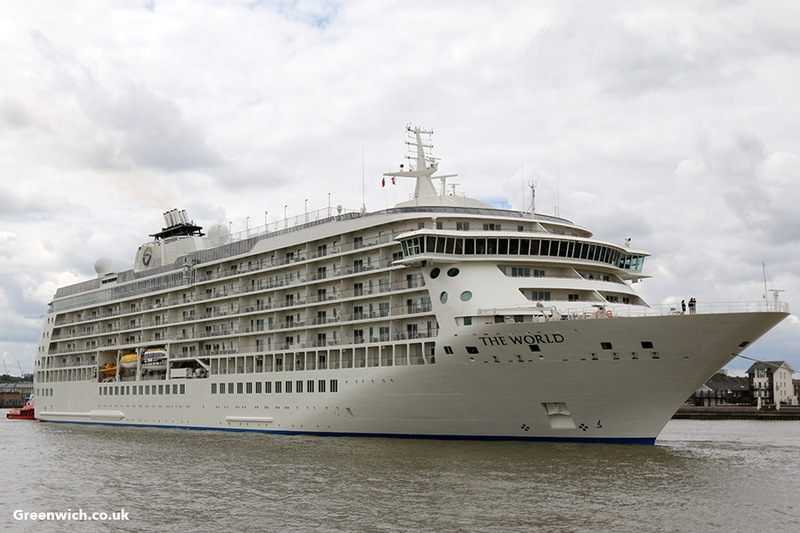 UNIQUE residential cruise ship MS The World arrived in Greenwich yesterday afternoon for a five day visit to the capital. 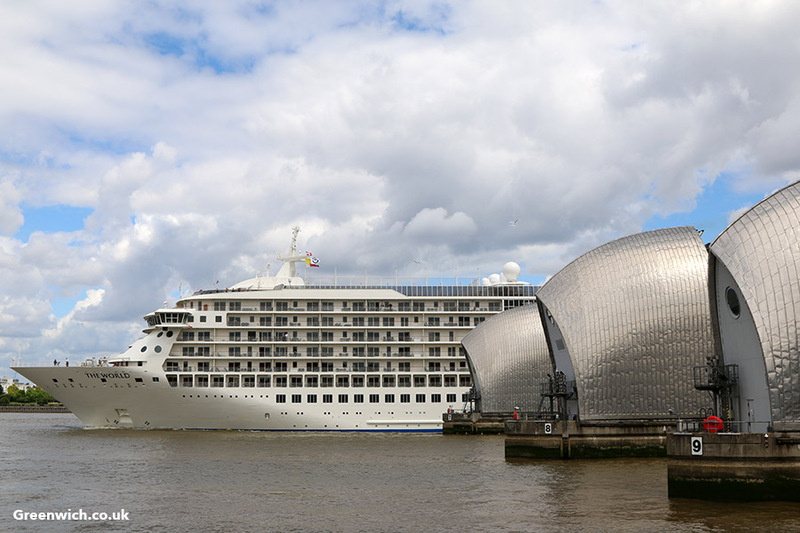 Launched in 2002, the luxurious vessel has made regular appearances in Greenwich with its most recent visits being in 2013 and 2011. 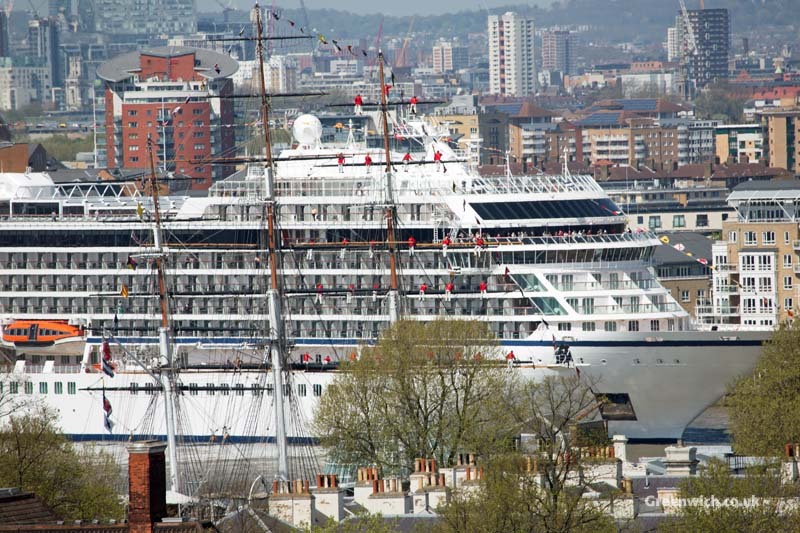 The 196-metre long ship has 165 apartments on board which are owned by the ship's residents. Reports say that the most exclusive suites on board cost $13million. Some of the facilities on board include restaurants, a grocery store, golf simulator and putting green, jogging track, swimming pool and tennis court. 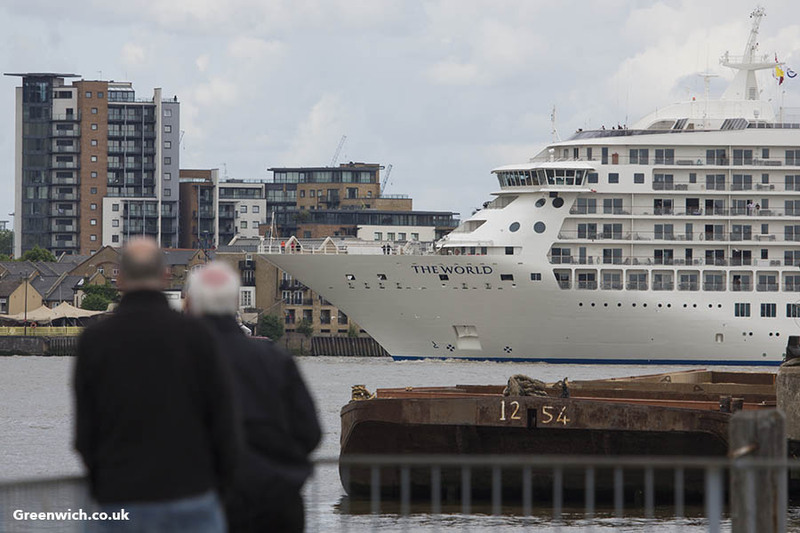 The World sailed up the Thames yesterday morning, arriving at her moorings at Greenwich shortly after midday. She is due to depart on Friday morning at 4am. The next stops on the ship's itinerary are Belle Isle, off Brittany, followed by Spain and Portugal. Iconic London landmarks come into view such as Canary Wharf and the O2. 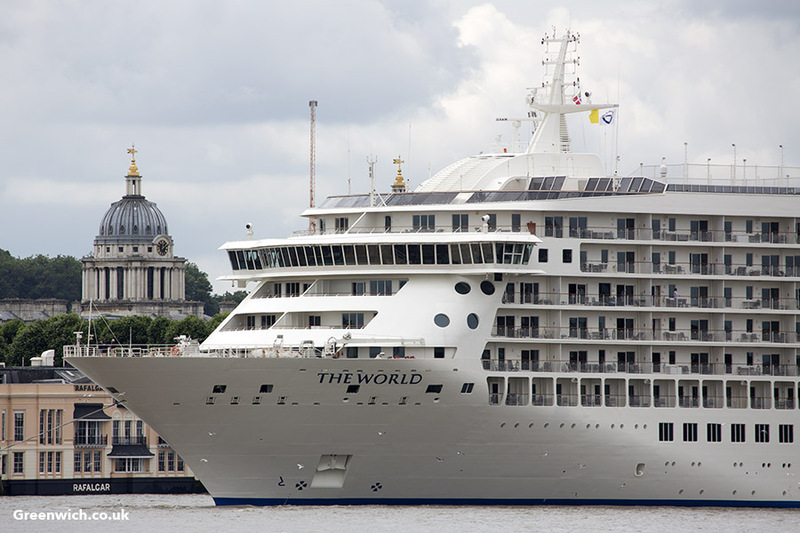 The World last visited London in 2013. Watching the World go by: a couple of spectators at Primrose Pier, Greenwich. Having been turned around near the O2, The World is assisted backwards in to Greenwich by two tugs. 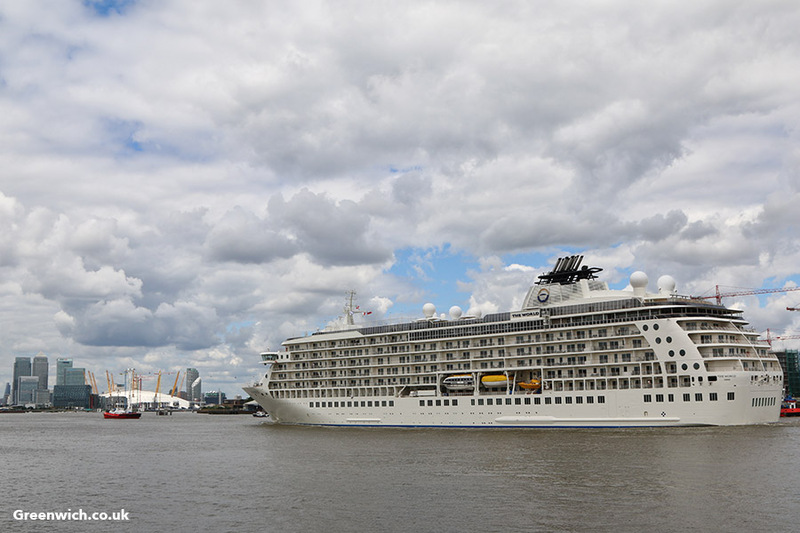 The ship passes Enderby Wharf where London City Cruise Port is planned for. Two Greenwich landmarks - the ORNC and the Trafalgar Tavern - seen behind the ship. 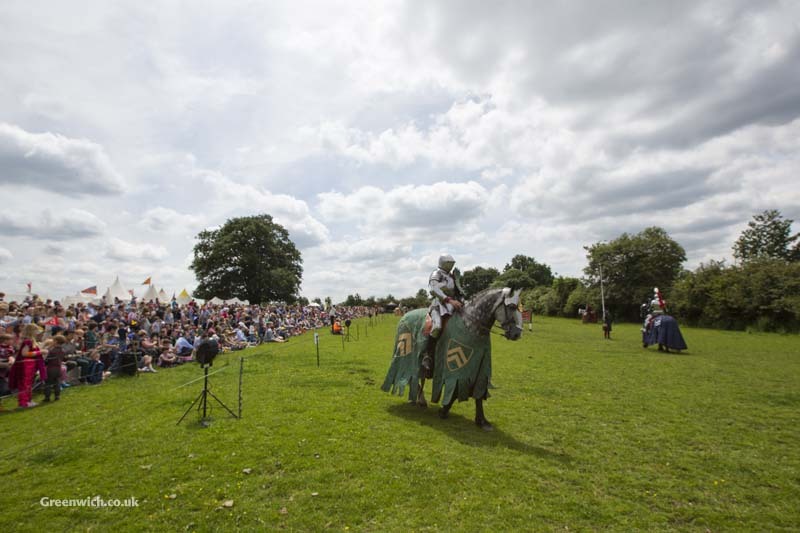 HISTORIC Eltham Palace has once again played host to the Grand Medieval Joust. 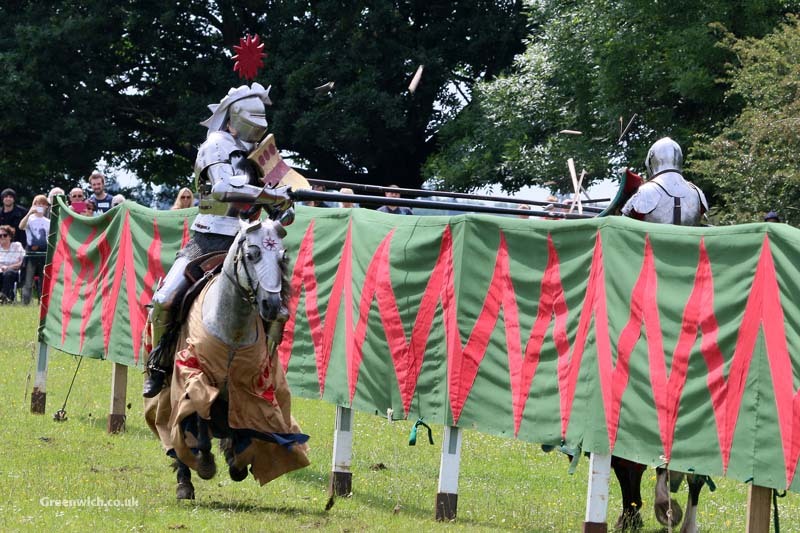 Knights representing the north, south, east and west displayed their skilfulness and equestrianism in a thrilling battle at the tilt yard on the meadow behind Eltham Palace last Saturday and Sunday. 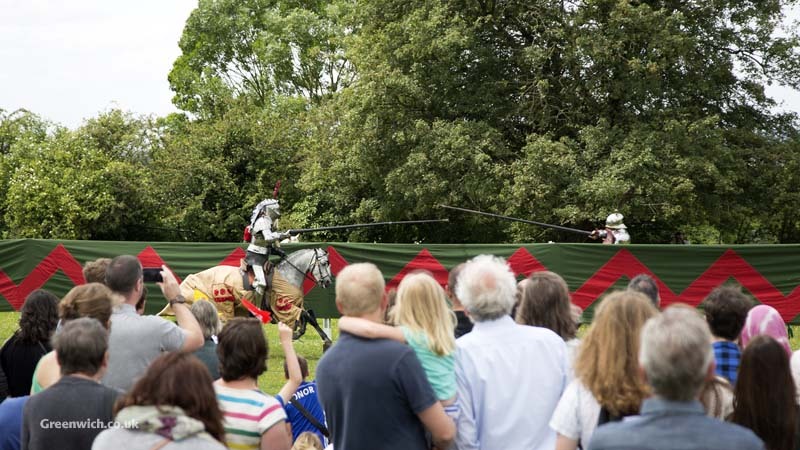 As well as the display of the middle age's most extreme sport, thousands of visitors across the weekend enjoyed expert falconry, a fascinating re-enactment camp and the playful antics of jester, Peterkin. The SE9 palace combines a beautiful medieval great hall with a stunning Art Deco mansion built by the Courtauld family in the 1930s. 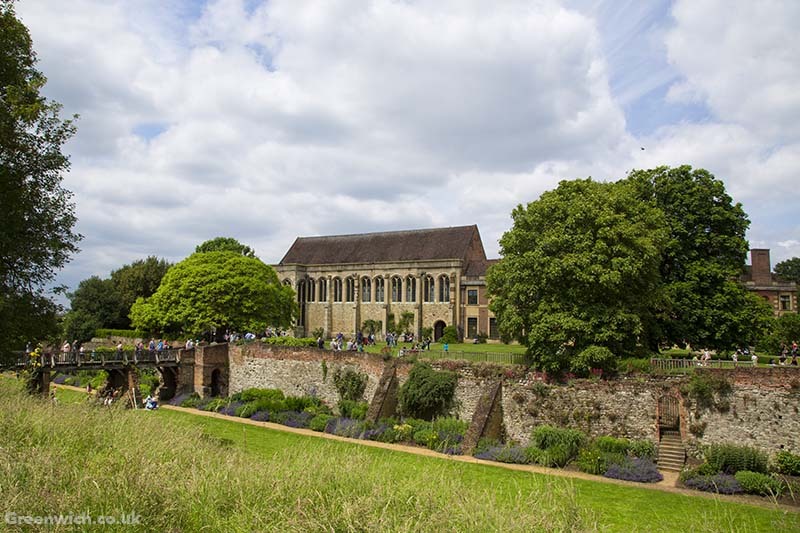 Forthcoming events at Eltham Palace this summer include a series of Lazy Jazz Sundays and a number of activities aimed at younger visitors during the school holidays. DOZENS of sailors dressed in red manned the yards of Cutty Sark on Thursday to welcome the cruise ship Viking Sea to Greenwich. The brand new ship sailed up the Thames that morning in beautiful sunshine to moor at Greenwich Ship Tier for her christening ceremony. 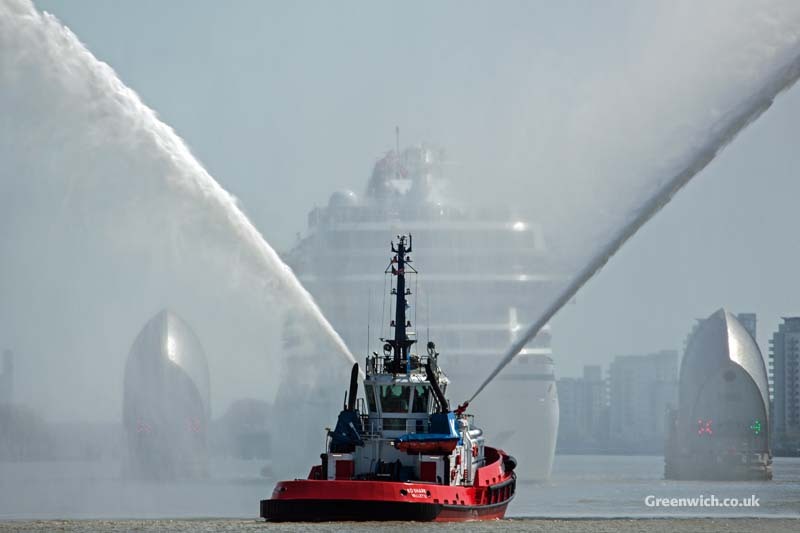 227-metre long Viking Sea, sister ship to Viking Star which visited last year, is the largest cruise ship to ever be christened in London. 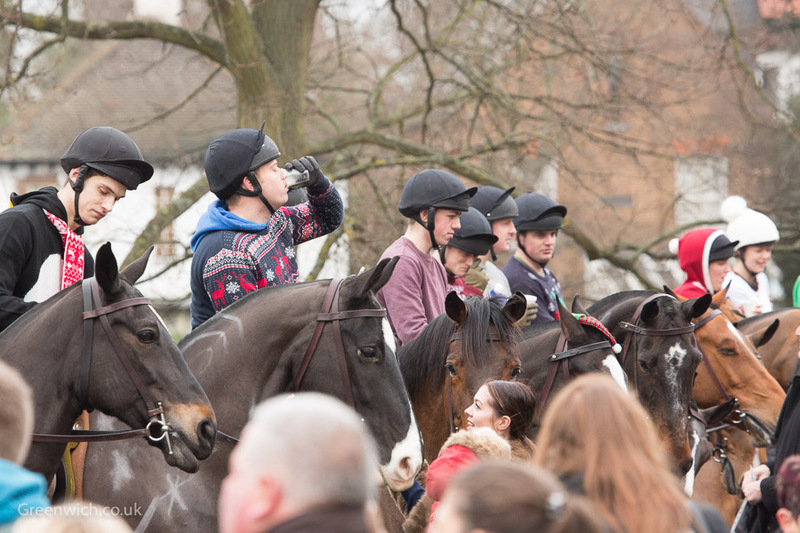 The naming ceremony took place later on Thursday with celebratory fireworks lighting up the sky shortly after 10pm. 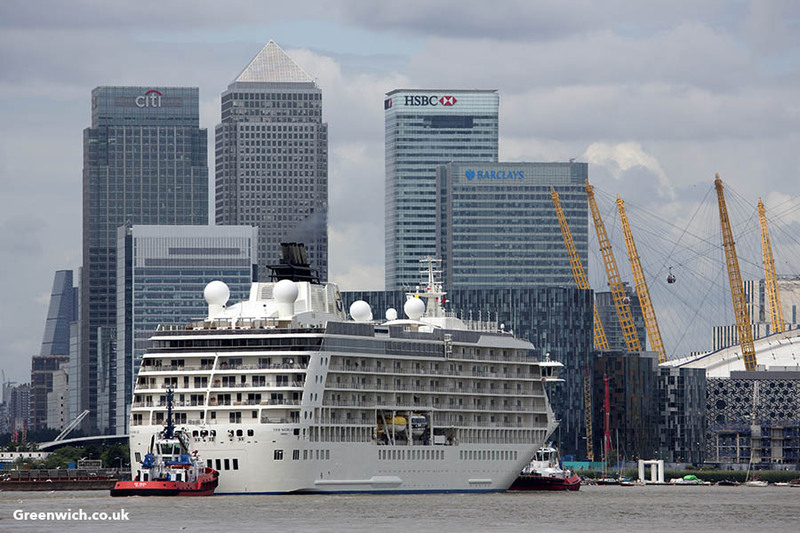 The ship was turned around in Blackwall Reach and towed backwards into Greenwich, passing Enderby Wharf where the planned cruise terminal is now subject to a Judicial Review following a local campaign. Viking Sea is the first ship to moor at the PLA's floating cruise terminal Welcome since repairs were carried out earlier in the spring. 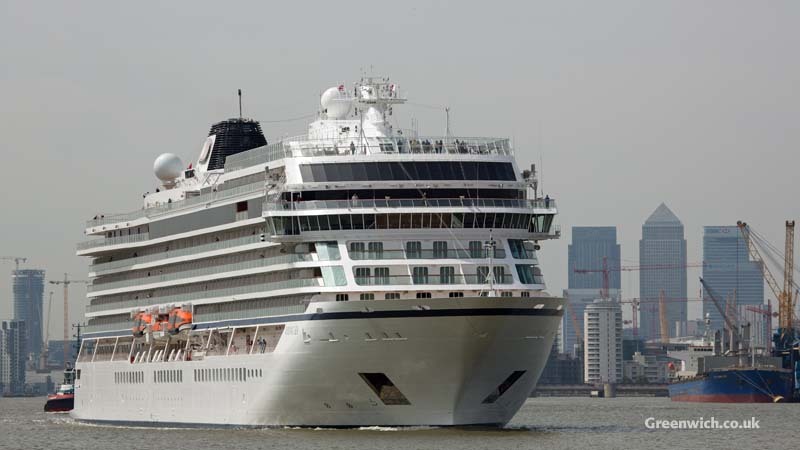 Viking Sea left Greenwich at 1pm on Friday and will return to the capital in June. People to stopped watch the large ship sail up the Thames, although she is officially classed as a small cruise ship. 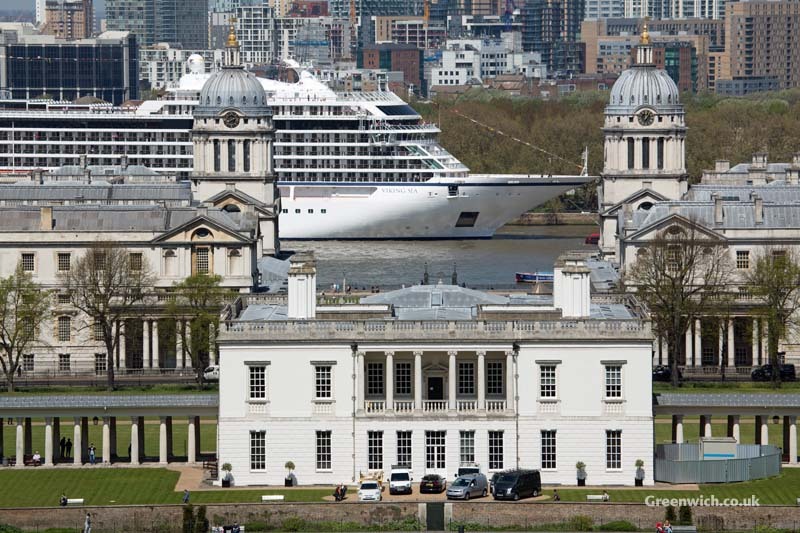 Viking Sea pictured behind the Queen's House and Old Royal Naval College - this photo appeared in Friday's Guardian. 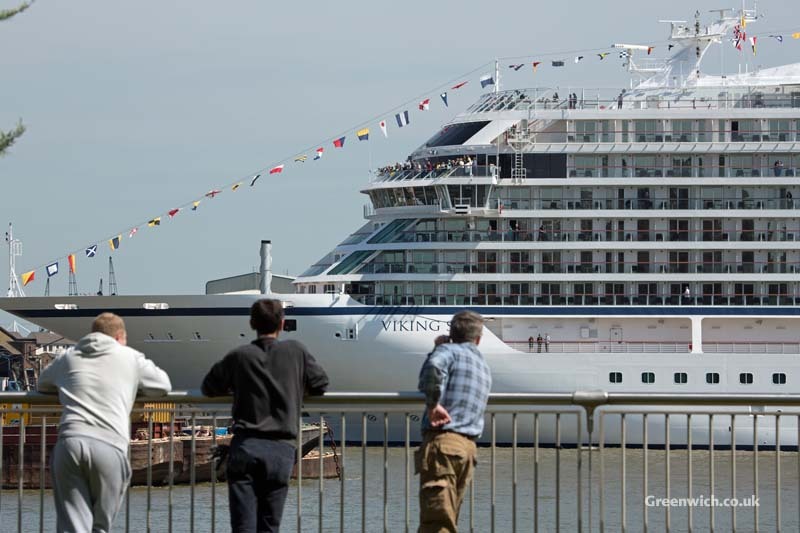 Viking Sea is the second of six cruise ships planned by Viking River Cruises. 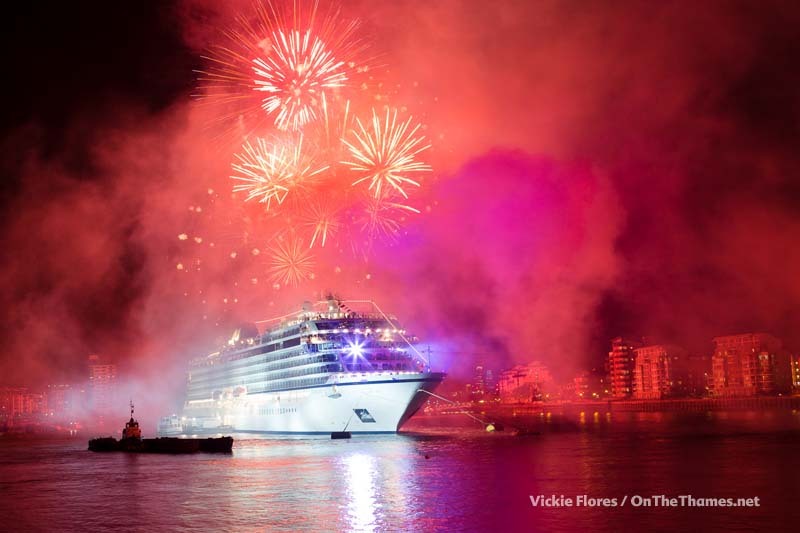 The ship's christening was marked by fireworks shortly after 10pm on Thursday night. Photo by Vickie Flores. 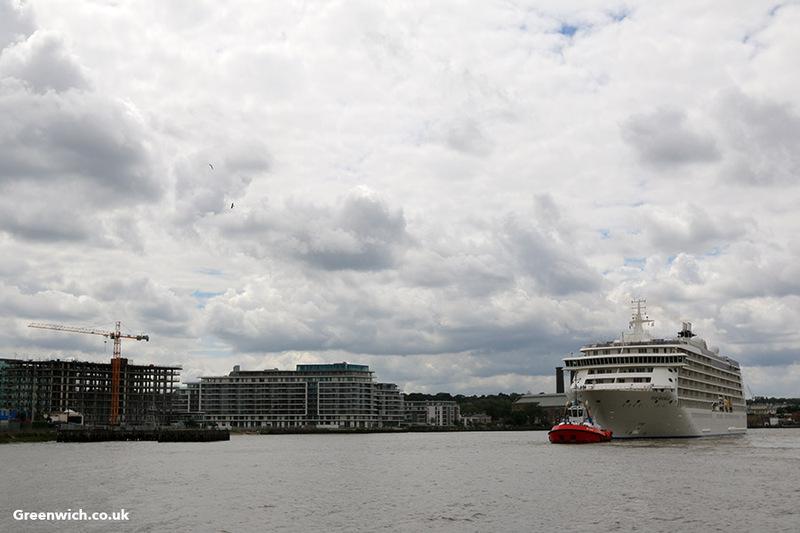 Viking Sea pictured leaving London the day after her naming ceremony. 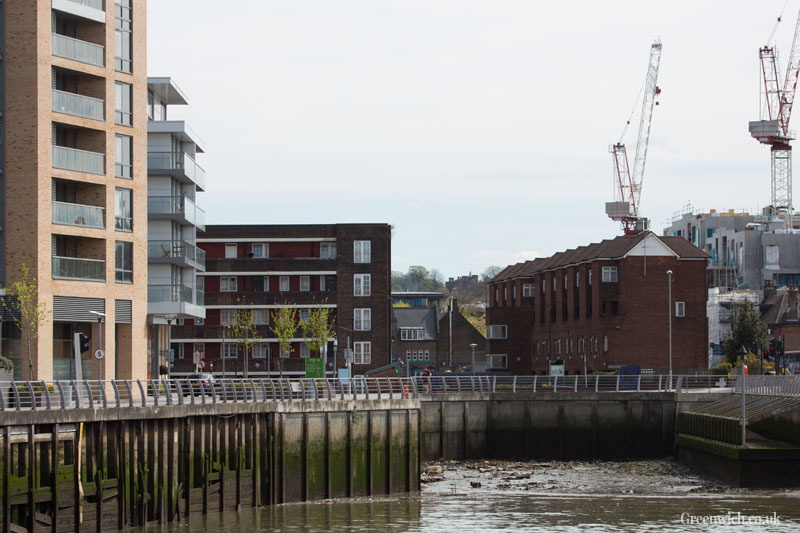 AN OLD wharf off Deptford Creek could become home to a heritage ship, if an artist's plans are realised. 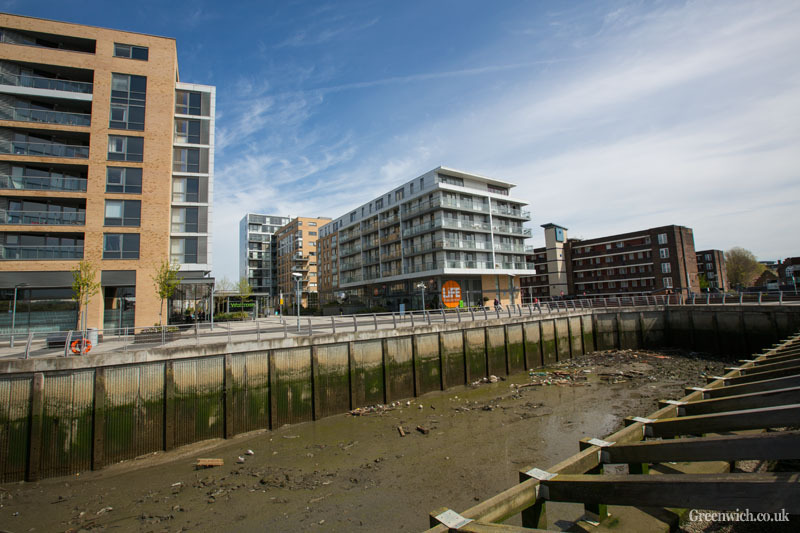 Well known local artist Peter Kent believes that Dowell's Wharf outside Waitrose in west Greenwich is the perfect place to put a historic ship. Kent, known for his distinctive drawing style and his love of the river, unveiled the idea in a recent article on his blog, River Watch Returns. 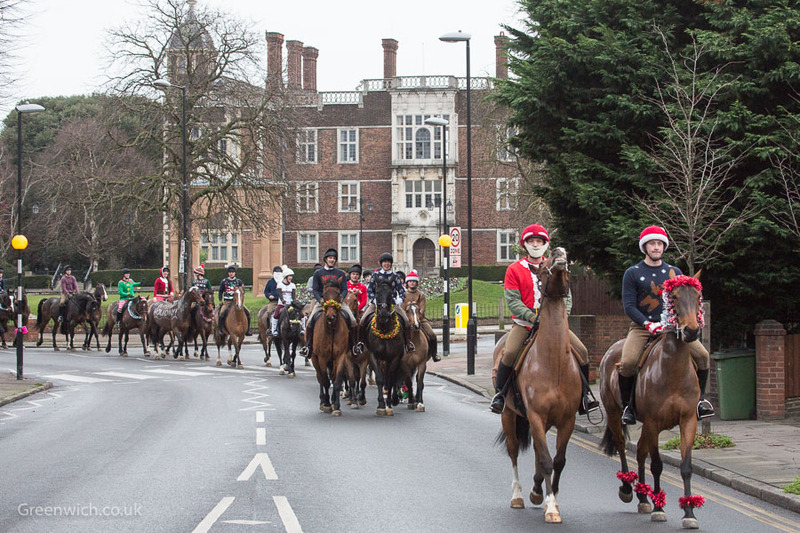 "It's the natural entrance to Greenwich. It celebrates the past as well as the new. No one's aware there's a waterfront there as they whizz across the bridge. 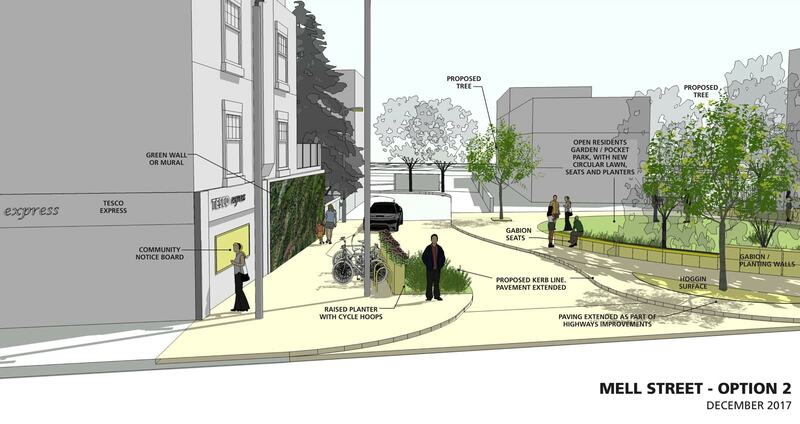 I feel this would be a landmark project within walking distance of the town centre." The topographical artist, who has received commissions for work from Trinity House and the Port of London Authority amongst others, thinks a significant vessel would be best suited to the currently empty space and has suggested a historic lightship or a coaster ship. Kent has previously suggested that the Queen's row barge Gloriana could be based at the site on top of a barge but it now looks likely that vessel will have a new, permanent home in Kingston upon Thames. Dowell's Wharf, adjacent to the recently-built apartments at New Capital Quay, was previously known as Creek Bridge Wharf. It was used for unloading coal by William Dowell and Company which is where it, and nearby Dowell Street, get their names from. 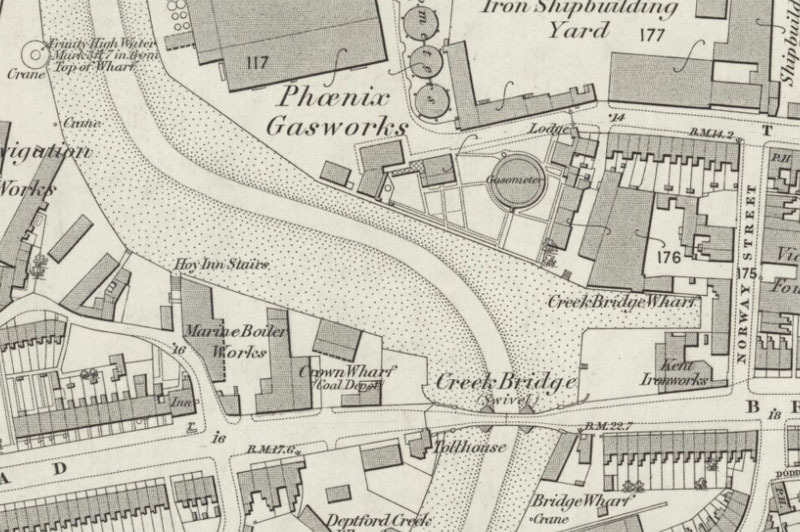 Deptford Creek was once a bustling part of the industrial river with various wharves in operation but the only remaining one still in use is Brewery Wharf which receives regular visits from Prior boats carrying sand. Would you like to see a heritage ship sited at Dowell's Wharf? Much rubbish currently finds itself washed into the area.